I know nothing about mountain climbing and care little for the sport. 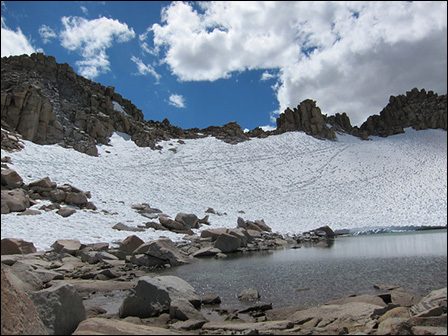 While I’ve backpacked a bit in the Yosemite backcountry (up around Hanging Basket at about 3000 meters) and Kings Canyon (over Lemarck Col at nearly 4000 meters), I’ve never actually taken to climbing at all. I had several friends who were into rock climbing out at Joshua Tree, but it just never appealed to me. 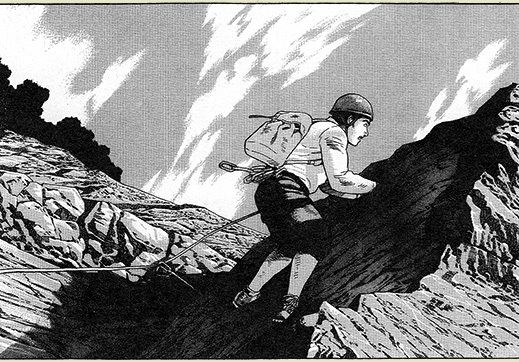 Around 2002, I had a roommate who was an honest-to-goodness mountain climber. He and his partner were aiming to be the first black men to scale the Seven Peaks. Everest was one of those he hadn’t yet tried, but it was on the list. Still, for all that—after seeing all his gear laid out, seeing photos of him cresting the heavens, seeing the charge he got as an expedition approached—I never caught the bug. Not to climb and not to spectate. I probably just needed a narrative. I probably just needed The Summit Of The Gods. Because this book. Oh, man. It crawls into your soul. You know that scene in Luke Pearson’s Everything We Miss where the shadow creature wends its way through the guy’s head and neck and pries his mouth open and waggles his tongue so that unbidden he says terrible things to his girlfriend? 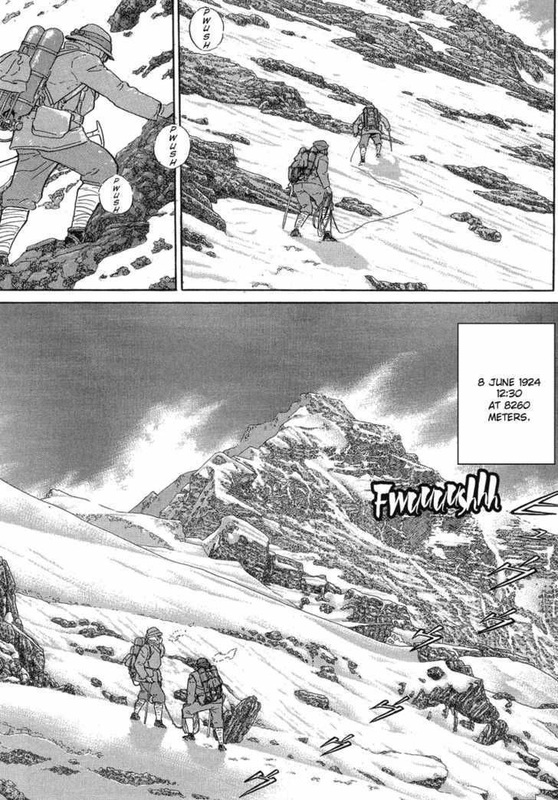 The Summit Of The Gods is similar but instead of playing at cruelty with your words, this thing snakes deep within you, grips your heart’s heart, and ignites your very soul. 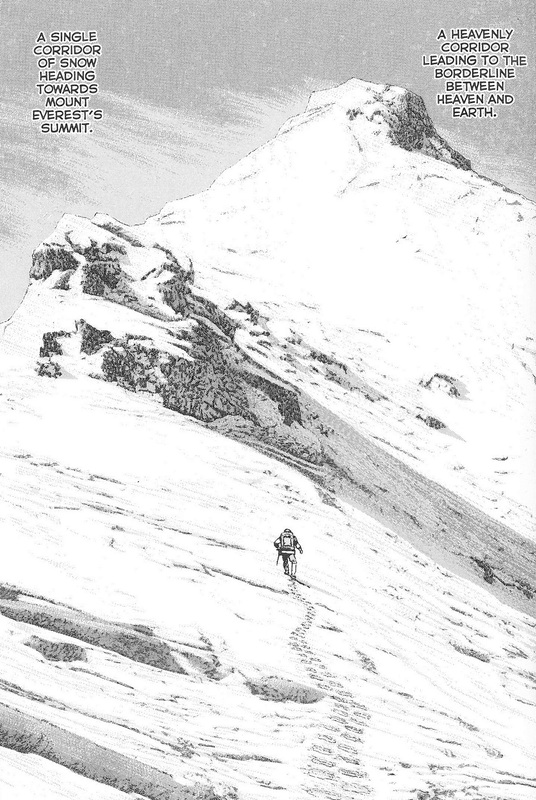 For the space of my involvement within the pages of Taniguchi’s adaptation of Baku's mountain-climbing epic, I am wholly theirs—and deeply enamoured with Everest and K2 and whatever other peaks they want to throw at me. I could not have expected this. I was so excited, so thoroughly overwhelmed, that I almost did not want to read anything else for some time after. I didn’t want to pollute the holy sacrosanctity of the experience Baku and Taniguchi provided. While principally interested in a particular climber and his alienating pursuit of an impossible ascent of Everest, Summit Of The Gods has more ranging interests as well. 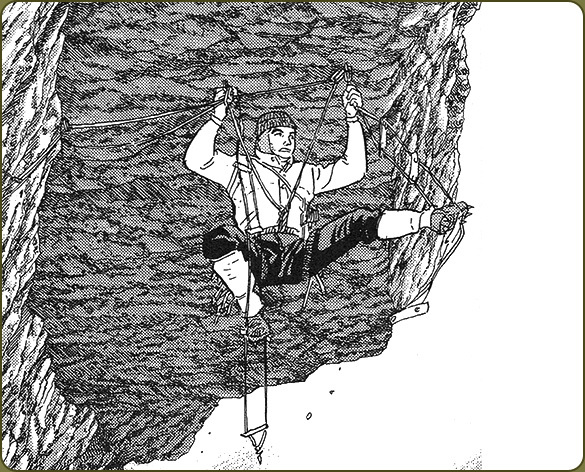 In order to build suspense and appreciation, much of the first three volumes of the series is built around the recollections of a handful of climbers as they recount to an interviewer past climbs, records, and disasters. These remembrances are fascinating, thrilling, and haunting. Some of this is heart-racing, life-and-death stuff. Especially invested readers may find themselves slightly exhausted as episodes close and the narrative moves to the next foundational piece of Summit's puzzle.